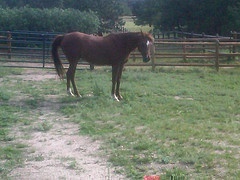 Miraj is a fifteen year old Arabian mare. She is currently the youngest horse we have here and also the smallest, truly the baby. Miraj arrived here in June 2011, after her owner found she just couldn’t care for her anymore. It is believed that she is no longer able to be ridden due to a neurologic condition, but we plan on having her evaluated soon. 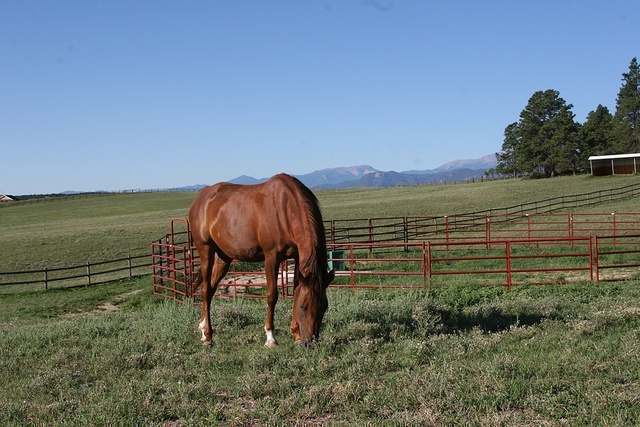 Miraj is truly an in your pocket type horse and just loves to be with people. I hope to someday incorporate her into some type of therapy program working with children.